No shoes, no problem, if you’re driving. No law in the U.S., or Canada, has requirements on what you can or can’t wear on your feet while driving a car. Riding a motorcycle is a different story, if you’re in Alabama. This state requires anyone operating or riding on a motorcycle to wear shoes. Even though it's not illegal, it isn’t recommended. Driving barefoot could compromise your control of your vehicle. It’s common for local motor vehicle departments to issue bulletins noting that driving in bare feet, socks or stockings is dangerous because your feet can slip off the gas or brake pedals. 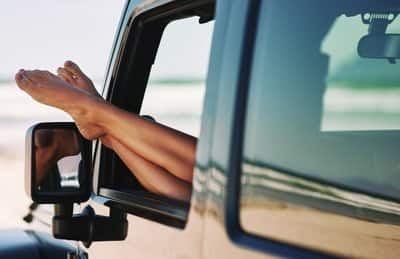 While lack of footwear on its own won’t get you a ticket, if police find it somehow contributed to an accident, you could end up with a citation for negligent or reckless driving. Such a ticket typically comes with a hefty fine and points on your license. Also, reckless driving is considered a major offense by many car insurance companies and could, therefore, cause your rates to rise. 0 Responses to "Driving barefoot"